Travellers will not believe that Malang is a sweet and memorable city until truly visit the town. There are many modest towns in Russia and Europe that can provide the charming view and unforgettable impression. Malang is a modest town with a comfortable temperature. Most of the year, Malang will be wet and humid. Besides, it has a balmy weather throughout the year. Located in East Java, Malang is unquestionably a must visit city for its old town atmosphere and majestic culture. Malang tour package covers both cultural itinerary and amazing outdoor adventures. We actually visit this town as part of the Mt. Bromo sunrise tour itineraries from Yogyakarta. However, if travellers have limited time, this gorgeous place is worth visiting the temple, green plantation, and the cultural richness. Mount Bromo Ijen tour package is offered entailing the amazing Malang city tour. Mt Bromo Ijen tour is definitely what international tourist need to join. Bromo and Ijen tour is basically reachable from some spots. It will be comfortale to start the journey from Bali. Ijen is located in Banyuwangi and Bali is near from Banyuwangi. Therefore, tourists can spend some days in Bali before leaving for Banyuwangi to enjoy the outdoor tour in Ijen. Besides, people can kick off the tour to Bromo and Ijen from Probolinggo or Malang. It will be memorable to spend a day or two in Malang and then continue the trip to Bromo. After that, tourists will love the world class tour spots in Ijen, Banyuwangi. And the trip is also comfortable to start from Surabaya. The travel agent team will be pleased to pick the tourists up from the airport in Surabaya. Malang Tour Package is more to outdoor tour rather than the cultural tour. However, tourists need to include some temple visit in Malang in order to learn the history of this lovely town. The most prominent temple around Malang is Singosari Temple. This is the temple of the Singhasari dynasty. The history notes that the kingdom had a heartfelt and dark story. It was a commoner, the son of a farmer who took over the kingdom after murdering the absolute ruler. And the curious thing is that the person concluded that because of the gorgeous queen, Kendedes. That is a super interesting story. People believe that Singhasari had done a terrific and genius technology, despite the ancient age of its glorious era. It had several huge temples with Tantrayana patterns. Besides, a myth says that the temples are the gate of tunnels that the kingdom built as a way to escape, in case their enemies invaded. Candi Singosari or Singosari Temple is now beautifully reserved. It is not as high and gigantic as Prambanan in Yogyakarta. Additionally, it retains the similar charm because of the Kendedes story. Besides, inside the temple we can see Yoni, a symbol of fertility that is often found in around Java. The temple is not only a place for tourism but also for a study tour. The beauty of Singosari Temple is even more unforgettable as tourists go around and found some other signs of a glorious kingdom in the past. It has a royal pool, a place where beautiful princess and queen took a bath in the past. The pool has a beautiful design though some parts of the place look shabby. Besides, there is a spot of giant guide statue that might be the site that used to be the entrance of the kingdom. 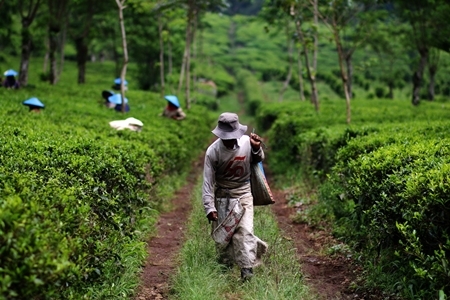 Malang is an area with fertile soil and good air temperature for almost any kind of the plantation. It has a vast area of apple and tea plantation. Tourists can extend an agro tour to visit apple garden in Malang. Nevertheless, the tea plantation in Wonosari is especially gorgeous. This place is reachable by car and only takes less than 2 hours from the city centre. It’s a night journey by train from Yogyakarta and only less than 8 hours from Bromo Ijen. The view is breath-taking, and the fresh air will give travellers an experience that lasts for long. Mt Bromo Ijen tour from Malang will be a great option to take. Malang Tour Package is also awesome due to the art and culture. Malang is surprisingly full of character. It has the delightful landscape but more than that, it is a town with renowned artists. Malang has a signature dance of Mask that is different from the other mask dances in other parts of Java. The masks are crafted carefully by a talented artist. The dance resembles powerful human being with the distinctive characters and roles in life. Tourists will be qualified to visit the gallery of mask artists. It is thus credible for the tourists to observe the process of the mask making starting from the raw wood. Besides, it will be great to encounter the dancers behind the beautiful masks. The tourists can extend the tour and enjoy the dance performance as part of the itinerary. It will not be tiring to reach one place and then go to this mask dance art exhibition. The ambiance of Malang with the green rice fields along the way to destinations will give excitement. If tourists are lucky, they can confront the traditional farmers that are working in their rice fields. In East Java, farmers are farming the crops traditionally with simple farming tools and with the healthy farming methods. It is truly heart-warming to witness their daily activities. Malang Tour Package prooves that Malang is a modest town that is never boring. Those who are staying in Malang for a college or temporary jobs will know how sweet and tempting this town is. Tourists will find this town has a delightful view. Besides the historic buildings and the history, this place has a wondrous and hostile ambiance to find anywhere else. Additionally, the people are humble and cultured to talk to. When taking Malang Bromo Ijen tour, the itinerary of the Malang tour will be compact and full of cultural adventure. Don’t be hesitated, contact the tour and agent right now and give yourselve a rewarding trip to Malang.